Thank you for your interest. For questions or to request an appointment, please use the information listed here. We look forward to hearing from you soon. Monday, Wednesday: 10:30 a.m. - 7:30 p.m.
Tuesday, Thursday: 6:30 a.m. - 3:30 p.m.
Friday: 6:30 a.m. - 3:00 p.m.
Say goodbye to stubborn tartar and plaque buildup when you schedule your next cleaning at Manassas Family Dentistry. 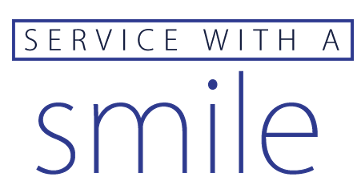 Thanks to our full range of dental services and techniques, our team is ready to restore your smile to its original beauty. Dr. Sheila Rao is a well-known dentist in the Prince William County and the Northern Virginia for her accomplishments as a dental care provider, promoting dental health awareness among children and outreach to community in need of quality dental care. Now the whole family can enjoy white, healthy, and long-lasting smiles for years to come. Manassas Family Dentistry is a full-service dental clinic based in Manassas, Virginia. In addition to general and cosmetic dentistry, we specialize in exclusive periodontal and endodontic services. When you visit our facility, you'll enjoy friendly and attentive service from an experienced team you can trust. For more than 10 years, Manassas and the surrounding areas have chosen our clinic for all of their oral health and beauty needs. If you're interested in scheduling a Saturday periodontal treatment, reach out today to make an after-hours appointment. Contact our friendly clinic at (571) 317-0140 today to learn more about our general and cosmetic dentistry services.